23 full days of action have been booked and recorded on Full Tilt Poker in October, and some very familiar names are currently on top of the cash game leaderboard. Phil Ivey is currently sitting at the top of the cash game mountain in October with a total profit of $1.54 million dollars. Ivey has booked a total of 13,163 tracked hands on the site so far this month. October's strong results have pushed Ivey far ahead of the competition in terms of overall 2008 results - Ivey has currently made a total of $5.9 million dollars on Full Tilt in 2008, which is an impressive $1.8 million dollars ahead of his next closest competitor, David Benyamine. Ivey continues to prove that he is one of the most consistent high-stakes cash game players on the site (and in the world). Gus Hansen, who was nearing the $2 million dollar mark for October a few days ago, has pulled back slightly and is currently sitting with a total profit of $1.37 million dollars for the month. Hansen, as mentioned previously, is an extremely high-variance player, and $500k daily swings seem to be the norm for him. Next up on the list is Tom "durrrr" Dwan. Dwan is sitting with total profits of $1.268 million dollars for the month of October. "durrrr" was mired in a vicious downswing not that long ago, but he seems to have turned around his luck (and bankroll). "durrr" has made well in excess of $3 million dollars on the site in 2008. The top five is rounded out by some more very familiar names, including: Ilari "Ziigmund" Sahamies (+$898k) and Brian Hastings (+$601k). "Ziigmund" has done very well for himself in the high stakes PLO action on the site, while Hastings has been seeing some success in the "RailHeaven" games that have been running over the past couple of days. Hac "trex313" Dang, a consistent winner in the high-stakes cash games on FTP, has banked approximately $541k in profits in October. "Ozzy 87" (+$467k) and John Juanda (+$372k) have also done well in limited action. "lady marmelade", a frequent entry on the top cash game losers list, has spewed off more of his money to the high-stakes economy in October. "lady marmelade" has dropped an additional $733k in October, further adding to the already monstrous losses that he has sustained in 2008. "lady marmelade" has now dropped over $4.3 million dollars in 2008, and is generally thought to be another one of Guy Laliberte's accounts on the site. 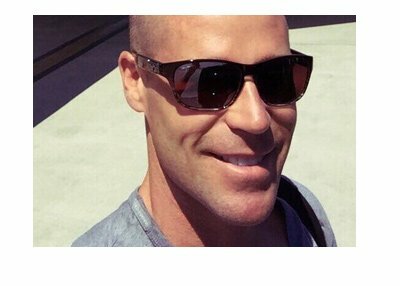 Patrik Antonius is second on the list with a total loss of $731k in October. Patrik's sizable losses have come over a total of 10,055 tracked hands. "elmariachimacho" has seen $610k evaporate from his bankroll in October, which puts his total losses for the year at $1.87 million dollars. This has come over just 10,979 tracked hands, which is quite the impressive feat. This means that "elmariachimacho" has lost approximately $170.36 for every hand that he has played on Full Tilt in 2008. The rest of the list of the top 10 losers in October is filled with names that aren't used to appearing on the list. 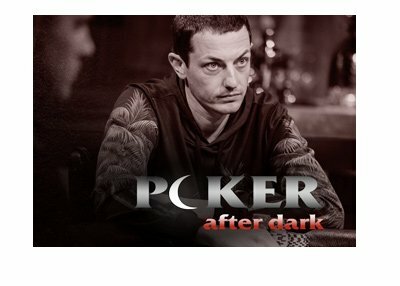 This includes: David Benyamine (-$580k), Phil "OMGClayAiken" Galfond (-$496k) and Di "Urindanger" Dang (-$411k). As always, this data is provided to us by HighStakesDB.com.